Previously, we have learned what pronouns are (he, she, they, etc.). Now, we will look at a different kinds of pronouns. 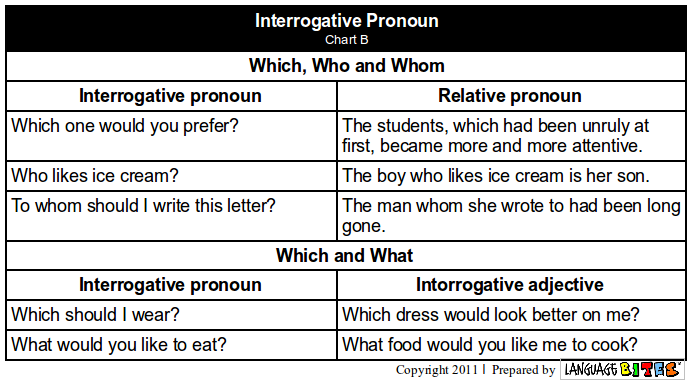 Watch the video below and think about how YOU would explain what relative and interrogative pronouns are. 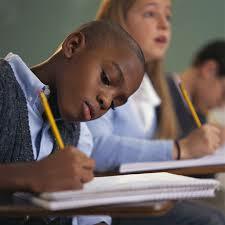 Now, take this quick quiz on relative pronouns! How did you do? If you didn't do well, don't worry about it; below you will find extra materials to help you! 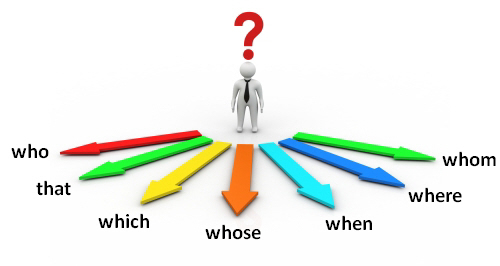 Relative pronouns, such as 'whom' and 'who,' are used to refer to people. 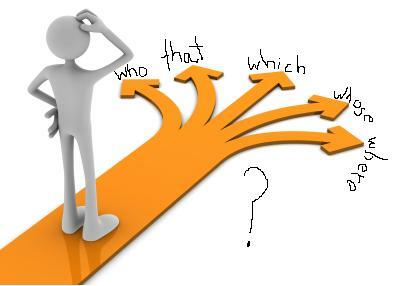 'That' and 'whose' are relative pronouns that can be used when referring to things, people, ideas or qualities. It can be hard to decide which relative pronoun to use in a sentence. Who is used for people. If you are referring to a person, use who. Which and that refer to groups or things. Go through this Prezi to review everything you have learned today!